The Prophet of Allah (peace be upon him) said: “There was a man from among a nation before you who killed ninety-nine people and then made an inquiry about the most learned person on the earth. He was directed to a monk. He came to him and told him that he had killed ninety-nine people and asked him if there was any chance for his repentance to be accepted. He replied in the negative and the man killed him also completing one hundred. There are four important lessons that we can take away from the story of the man who killed a 99 people, about his tawbah, or repentance. These very lessons are relevant to your journey in breaking free from your unwanted sexual behaviors. Lesson #1 – The Man Relapsed On His Path Of Change. In a moment of weakness, when the monk told him, ‘there is no chance for you, you can never be forgiven,’ the man became very angry and killed the monk. He went from killing 99 people to now killing 100 people. The man had a setback, or in modern terms we may even say he “relapsed back” to his old way. Despite falling down on his face and going back to the same old pattern again, the man who now killed 100 people, got up back again and moved towards recovery and change. The man was on a path of change, and he did not in his right mind and heart intend to kill another person when he embarked on that path. But he slipped. When you’re at the beginning of your journey, it is a natural part of the change process that you are going to experience relapses. Understanding the patterns of behaviors and the conditions that lead to relapses are an important part of recovery. This is something I cover in much depth in the program. 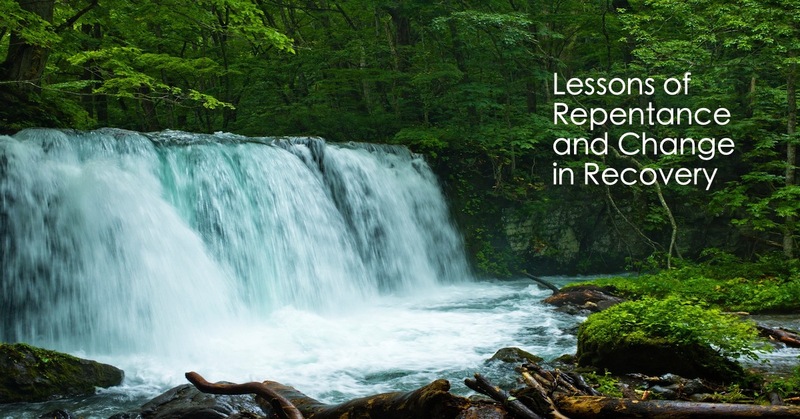 Lesson #2 – The Man Continued To Seek And Search For Allah’s Forgiveness And Mercy Despite His Past. Despite His Relapse. This was a man who was completely and utterly powerless. He felt his life was out of control. After killing 99 people, he had had enough and wanted to change. On the outset, there was a belief in his heart that no matter his past, no matter the consequences of his actions, or the factual labels that can be given to him like “criminal” or “murderer,” he knew he could have a better life, a new beginning and return back to Allah SWT. He had an element of hope that was so crucial to his change. Some individuals who begin this process look at their track record of their unwanted sexual behaviors, and it doesn’t look too good. This leads me to lesson #3. Lesson #3 – The Scholar Gave Him Conditions For Change. The scholar told the man that yes, Allah’s mercy is vast, and that he can change, but there had to be conditions for his change. The scholar further emphasized that he cannot change in his current place or location, and that he would have to get up and move to a new location where the people are guided and are on the straight path, that can help him reform his ways, and help him understand and begin that process of change. A lot of times, people become complacent about change, and they say, “Allah is Ghafoor-ar-Raheem,” “Allah is the Most Forgiving,” but what they forget is what is practically required from their part to change. Having worked with hundreds of individuals in this recovery process, I can tell you there are important conditions you have to take, to change as well. One such condition is similar to the condition that the scholar mentioned to the man, and that is changing your environment where you can leverage the support and begin the path of change. This is something that Purify Your Gaze provides, where individuals who are on a similar path of change can help ease your fears surrounding the whole process of recovery and be a constant companion and support throughout your journey in sha Allah. Lesson #4 – The Man Began His Journey And Took His First Steps Towards Change. After his conversation with the scholar, the scholar told him to leave his land to go to a new land. The man could have been in that place of doubt and fear, where he could have questioned: “What if I go to this new land and I never change, what if I continue to be the same miserable person?” But he took that leap of faith and he took that first step. The destination was not that he was going to change. But rather, when he got to that destination, that is where he was going to begin that change. He had to travel from point A to point B, that could him help to get to that point C which is change. And we know from the story that he didn’t even make it to that point B, he had died along the way. What got him into paradise was his sincerity. And more importantly, it was Allah’s mercy that had entered the man into paradise. And with that sincerity in intention and effort, and the recognition of Allah’s mercy, you can break free from your unwanted sexual behaviors bi’itnillah. If thousands of people were able to overcome their own addictions, what’s stopping our brothers and sisters from doing the same? The answer is belief. Belief in your own success builds confidence and confidence is the secret ingredient that all recovering addicts need to remain consistent on their path to change. – You get the reward based on the effort that you put. It’s not based on the number of relapses. Because the situation where a person is coming form could be different for different people. For some it is technically easier not to relapse but for some others it might not be as easy as the former one. So, the Almighty, Alwise and the most merciful is fully aware of your capability, your present situation and the amount of effort that you are putting in for your healing.